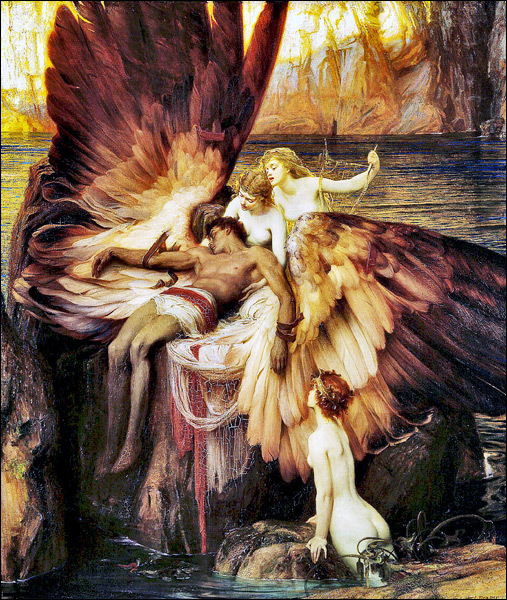 Lament For Icarus is a painting in the Art Nouveau style, perhaps the shortest lived movement ev-ver, generally reckoned at 1890 to 1910. Draper isn't a name known to many. We can look to, say, Alfons Mucha for a more popular expression of the style, but Draper fused academic painting with Art Nouveau for memorable canvasses that speak to today's sensibilities. What we call the American Civil War of 1861 to 1865 was in fact two separate nations deploying traditional armies and navies to fight conventional battles with large scale maneuvers and front lines. In today's civil wars there are no rules, no front lines. It's unrestricted warfare to take control of the government, armed horror actually, between peoples occupying the same land, even the same neighborhoods. They have no overt beginning, even in retrospect. They end when one side annihilates the other, or when both sides and the country itself are too exhausted to continue. Selco speaks of such war. As I've said elsewhere, the notion of civil war in America seemed implausible to me a couple years ago. Since then it's moved to "improbable". And it's still moving. As evidence, see the one minute video linked to in the excerpt below. It's scarcely to be believed. 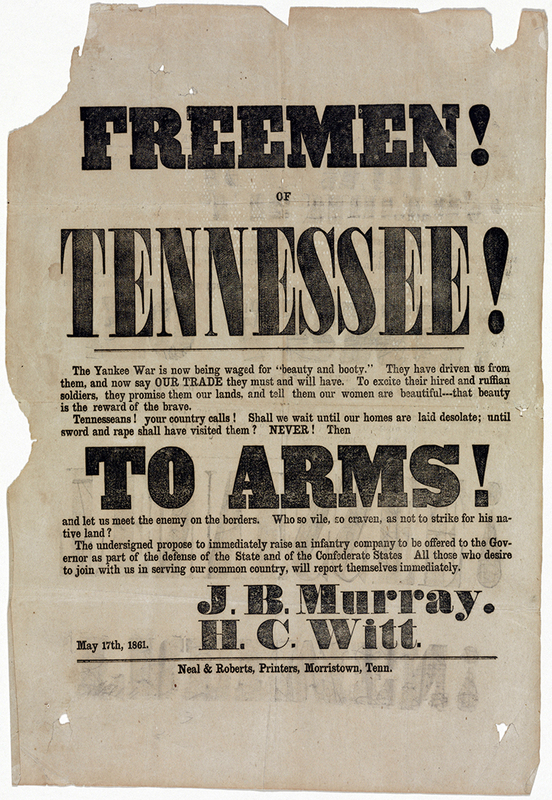 It reminds me of recruitment posters from 1861, "A Call To Arms" and the like. Yet, here we are, seeing things we thought impossible not so long ago. This is a clip from a television show aired on one of the legacy networks. The video is a naked call for violence against whites. Even after all of the outrageous behavior we have seen from the ruling class the last few years, no reasonable person would have thought this was possible even a year ago. There's nothing in this kind of civil war for men of sound mind and good will. Rule One is your best guide: stay away from crowds. If you're in or near a city, especially the coastal urban complexes, plan and commit to self-evacuation. First out is best out. There are always more defensible and compelling reasons to defer action than to do what needs doing. Prudence and optimism are not compatible. There will be no warning of the approaching event horizon. Be wary and trust your gut, the news media have revealed themselves as committed partisans. You can recover from decamping too early but "too late" is always too late. Here's a helpful hint for urban migrants in a 'no rules' civil war. Avoid the "eastern inland enclave" . We support and defend our families, ourselves and our neighbors. Because we live here. Beware, there's nowhere lonelier than a back road being closely watched with well warranted suspicion. Yes, you may get a handout and be sent on your way, but it's not a high-percentage bet. Take this into account when you're making your Get Out Of Dodge plans. Avoidance as much as possible, and contact only under my terms. A political machine that promotes socialism in Gucci couture, from a bevy of mansions, while driving European supercars is unlikely to be convincing. With the lunacy of the Trump collusion hoax, the reparations ramp up, the multiple lefties with corruption or Me Too problems, and it seems like they have no idea how they are coming across to the average American. It’s always better to deal with dictators than with democrats. A dictator you have to bribe only once; democrats you have to keep bribing over and over again. The mainstream media and social media companies may try to clamp down on opposing views, but they are unlikely to repress the emerging voices of the far left, who will do far more to open the eyes of white liberals than conservatives ever could. The freedom to pursue happiness is something very different from the right to be happy. It would take an income of $130,000 to qualify for a car loan on a $36k purchase using the same standards mortgage issuers use for home loans. If America is to be a place of asylum then there has to be a way to discriminate between those who flee danger and those who are the danger. The border is the only place for that to happen. I watched how Tony Podesta reacted to the unsealing of Manafort's indictment. 2) went to ground and has made himself extremely hard to find. Podesta may have been the first guy to actually realize where all of this was going. People have been watching the pieces moved around the board without knowing what they were seeing. The Syracuse Post-Standard reported, "New York lawmakers on Tuesday refused to advance a bill that would have provided free college tuition to the families of all military personnel from the state who were killed in the line of duty." Instead, Democrats—who control the legislature—approved $27 million for free college tuition for illegal aliens. Cuba is reportedly working along with the Russians, Chinese, Iranians, Hezbollah, the FARC, and ELN on behalf of Maduro. The most important component is the Cuban contingent. Their level of penetration reaches every single relevant institution in the country. Somehow I missed it. Back in 1956 Universal International made a movie about the kind of ship I served on. The title is "Away All Boats" . Unless you were in the Olde Tymme Gator Navy, don't bother. As movies go it's vandalism of a movie screen. The story sleepwalks through the worn template of the day, then redeems itself by lunging at the ludicrous. On the other hand, the acting is pathetic. But the shipboard and seagoing scenes brought back memories. Monday we had snow flurries, no accumulation. The air temperature was right at freezing. The rule: it will snow on the peepers three times. Then no more. I've been keeping track for many decades and have never seen it fail. A large part of Notre Dame Cathederal has burned to the ground, putting plans to convert it to a mosque on hold. Update. Some good news. The missus was moved from the ICU to a regular floor Saturday and may be released as early as midweek. Progress. Well gang, enough of this chitchat. Time for a tour of the real Twilight Zone. But first, an old ad. Whitman's was founded in Philadelphia twenty years before the Civil War. 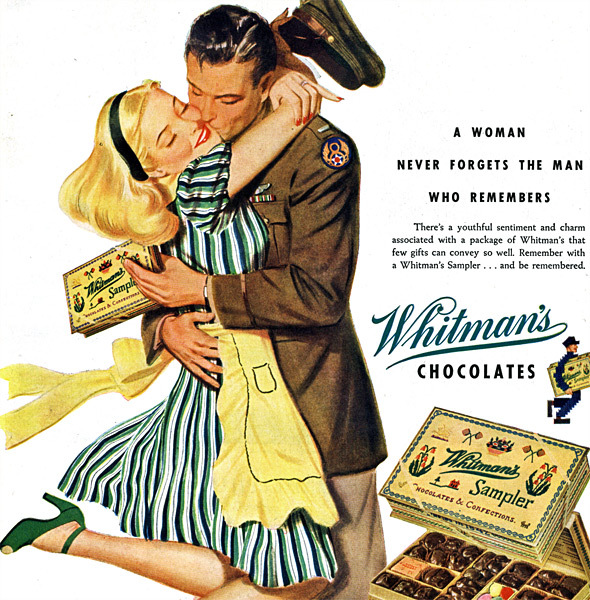 Whitman's Sampler was first marketed in 1912 and saw its peak popularity in World War II. Whitman's was bought by Pet Inc. in the early 1960s, which was acquired by IC Industries, spun off in 1991 and acquired by Russel Stover Candies in 1993. A follow up news story says, "Aranda went to the mall on Thursday with the intent to kill someone, but said it didn’t “work out.” He allegedly returned the next day, planning to kill an adult, but instead chose the boy... Aranda approached them and, without warning, picked the boy up and threw him over the side of the balcony. Perp is 24 year old black guy, the boy is white. Check the news in about a month, the perp will be the "real victim". Because diversity. America, Paul Roberts - According to Identity Politics, white people are in charge, but the evidence is to the contrary. There are no quotas for whites in university admissions, hiring, and promotion. It is the allegedly victimized “preferred minorities” who get to go to the front of the line. There are no hate speech or hate crime protections for whites. Whites can be called every hurtful and offensive name in the book and have no right or power to demand apologies or the firing of the offender. White DNA has been declared to be “an abomination,” and white people “shouldn’t exist.” As whites still constitute the majority of the U.S. population, what are the consequences for society when it is the majority that is constantly demeaned? When whites become a minority, what is their fate when the new majority has been taught hatred of whites for decades? Extinction, Cosmos - 66 million years ago an asteroid impact drove the extinction of all the non-avian dinosaurs and much else besides. What should have been “a classic example of explosive adaptive radiation” happened in waves over time, “the latter of which were delayed for millions of years”, they write. The diversity of species did not return to mid-Cretaceous levels for 10 million years, and only reached late Cretaceous levels after 20. They argue “that ecology, rather than environment, controls diversification after a mass extinction”, and an important component of this is “the time needed to reconstruct morphospace within ecosystems”. Pandemic, Bloomberg - Venezuela is a hothouse for malaria again, but also communicable miseries from HIV/AIDS to Zika. Forgotten diseases such as diphtheria and measles rage. Leprosy, tuberculosis and typhoid fever are back, alongside emerging mosquito-borne viruses, such as dengue, Zika and chikungunya. New HIV infections jumped 24 percent from 2010 to 2016. Now the worst humanitarian crisis in the Americas risks becoming a hemispheric emergency, as nearly 3 million Venezuelan refugees and migrants ferry their pathogens across the continent. Venezuela’s failing health is no surprise: The disastrous Nicolas Maduro government has made the economy and national infrastructure a shambles. Revenuers, American Spectator - The newly created California Department of Tax and Fee Administration has been sending collection letters to small businesses that sell products via online retail platforms such as Fulfillment by Amazon. The agency claims that such third-party sellers owe eight years of back taxes because they are considered to have a physical presence in the Golden State. The agency threatens tens of thousands of dollars in fines and imprisonment of up to three years... The agency also is demanding that Amazon hand over private information from these companies. 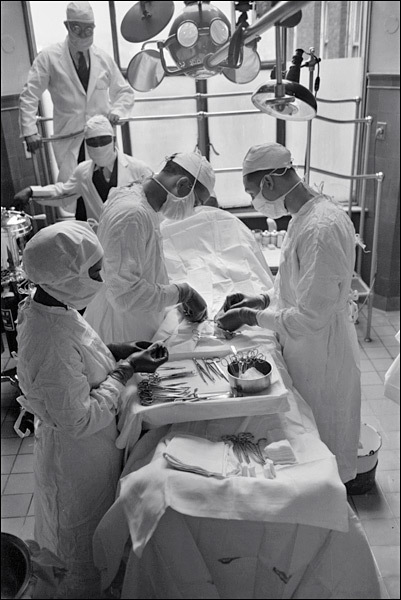 From Wikipedia: "Provident Hospital, now a public hospital, was the first African-American owned and operated hospital in America. Provident was established in Chicago in 1891 by Dr. Daniel Hale Williams, an African-American surgeon during the time in American history where few public or private medical facilities were open to black Americans... It is now known as Provident Hospital of Cook County". Roger Simon, PJ Media, As we now know post-Mueller report, "respected" journalists were simply trafficking in collusion lies whispered to them by biased informants. In other words, they were a bunch of gullible, over-zealous propagandists. For that they received their Pulitzers, as yet unreturned, needless to say. So, in other words, these mainstream media reporters have received fame and fortune for lying while Julian Assange may be headed for prison for telling the truth. There's a bit of irony in that, no? No one, as far as I know, has ever accused Assange of not publishing the truth. Sorry, Taki's Magazine - A sentimentalist is someone who wants to have the luxury of an emotion without paying for it, and a modern apologist is someone who wants the aura of sanctity of making an apology without the need to feel any personal guilt. But he doesn’t mind in the slightest if his apology creates endless problems for others. The attempted recognition of the realities of the past is another thing entirely. When we are reading about moral catastrophe, then, even when we have no particular ax to grind or material interest to advance, we as often as not are enjoying ourselves rather than seeking to improve ourselves morally. Serious books about moral catastrophes are the disaster movies of intellectuals. Reset, CDR Salamander - We continue to read confusion, frustration, and general discontent with "strategy" attempts coming out of DC. If you look at it from a distance, it really makes sense that none of it makes sense or fits. Part of this is institutional inertia, the other part is simple pocketbook issues. At lot of “that town” owes their paychecks, sponsorship, underwriting, ego, PhD, and designated parking spaces to maintaining the American quasi-empire. This is another opportunity to bring up the 25-yr old “Salamander Strategic Reset” pondered out by LT Salamander a couple of years after the end of the Cold War and slightly revised through the years. 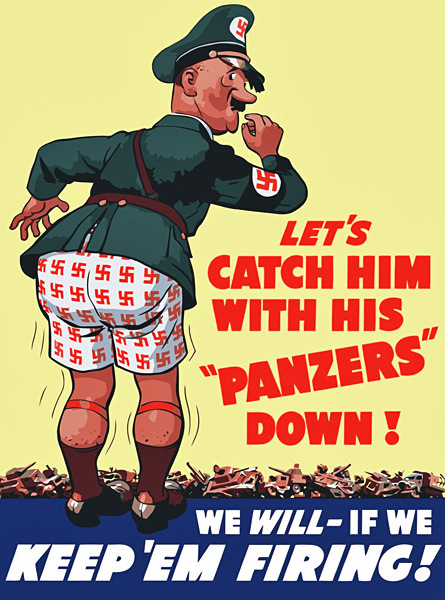 Blitz, War History On Line - We often hear talk of the “Blitz Spirit” when Londoners stuck together and helped each other through the German bombing raids which destroyed large parts of the city. But there is another side to how people responded to the war, one which showed a darker aspect of human nature in a time of crisis. There was a marked increase in crime. Some were opportunistic crimes, in which not only criminals but also members of the public took advantage of the chaos during air raids and blackouts. There also was an increase in gang activity linked to the black market. One of the most common crimes was looting. People would come home to find that not only had their home been destroyed, but also that their possessions had been stolen. Date unknown. This poster is right out of Saul Alinsky's Rules for Radicals: "ridicule is man's most potent weapon".